Jetty Square is an Urban Square on the Foreshore of Cape Town. It was a winner of the 2009 ILASA Merit award for excellence in design, along with Pier Place, for the pedestrian upgrade to the foreshore. 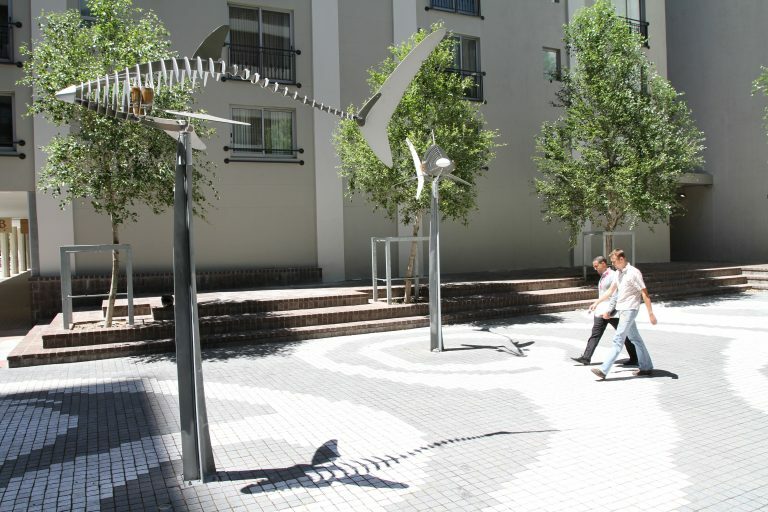 Located within the heart of the Cape Town foreshore, Jetty Square is an urban square serving as both a place of pause and as a movement conduit. 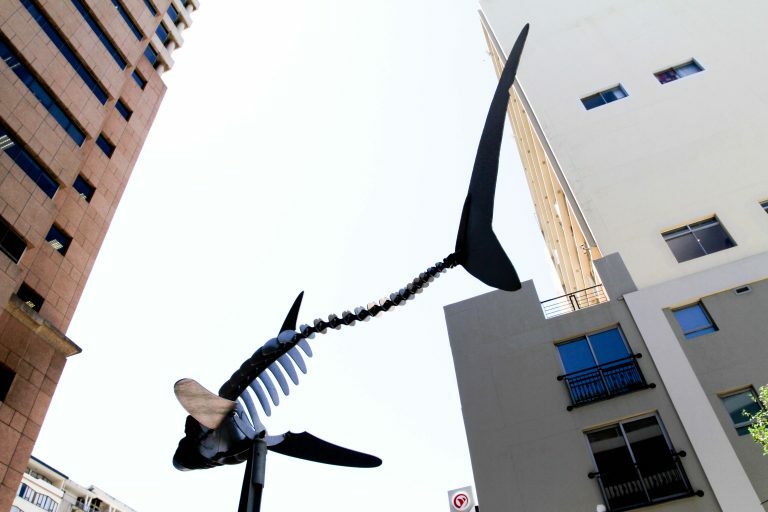 The square features interactive, skeletal shark sculptures by Ralph Borland that interact with passers by via infrared sensors. 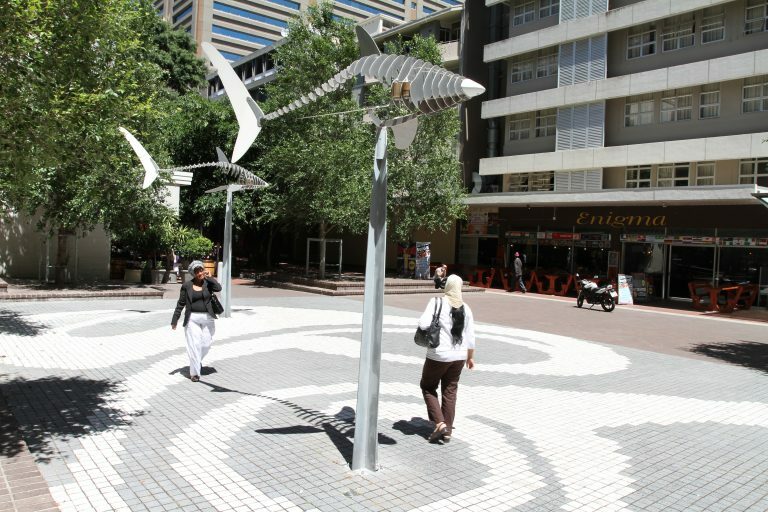 These sculptures convey the historical fact that the site was once underwater before the foreshore development in the 1960s and 70s. The Project was completed in 2007. The sharks are a haunting reminder of nature manipulated for human development. The sharks move in the wind and infrared sensors detect when a person is nearby and emit a wind-generated sound. The paving pattern resembles a water flow pattern also referring to the sea that has receded. The cobbles create a pixilated version of a microscopic pattern. The aim of the project was to create awareness and reflection on nature in a concrete dominated environment of the inner City.